Do you dream of opening a cute corner coffee shop? Wonder what it’s really like to own a cafe? Trying to figure out if if this is business you want to seriously pursue? Then you’re in the right place. Today’s guest is Bryan Reynolds, Co-Founder and CEO of Anthem Coffee & Tea, a six-location coffee business serving the greater Tacoma area in Washington. In the show, Reynolds outlines the actions you need to focus on in order to start a successful, independent coffee shop brand from the ground up. It’s important to point out that Bryan is not a success guru or a consultant. Bryan’s worked in the trenches of their coffee business for over a decade and continues to operate and grow the business today. 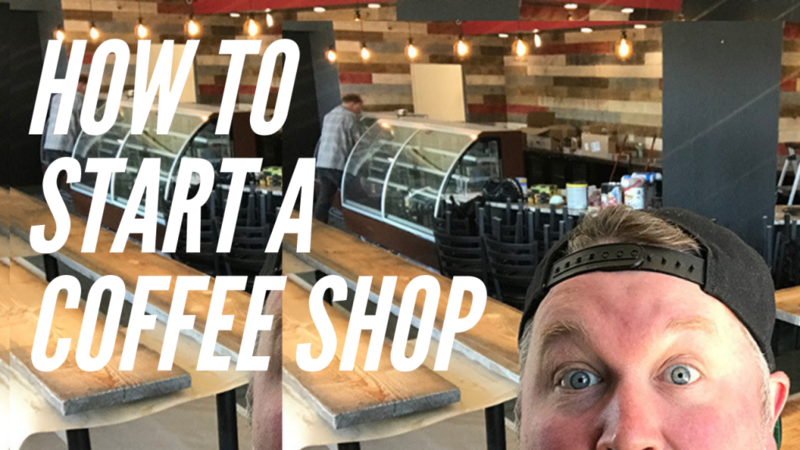 Bryan’s not here to “sell you” on starting a coffee shop, but instead to help give you a realistic idea of what it will really be like to own a coffee business and the areas where you need to focus for it to be successful. 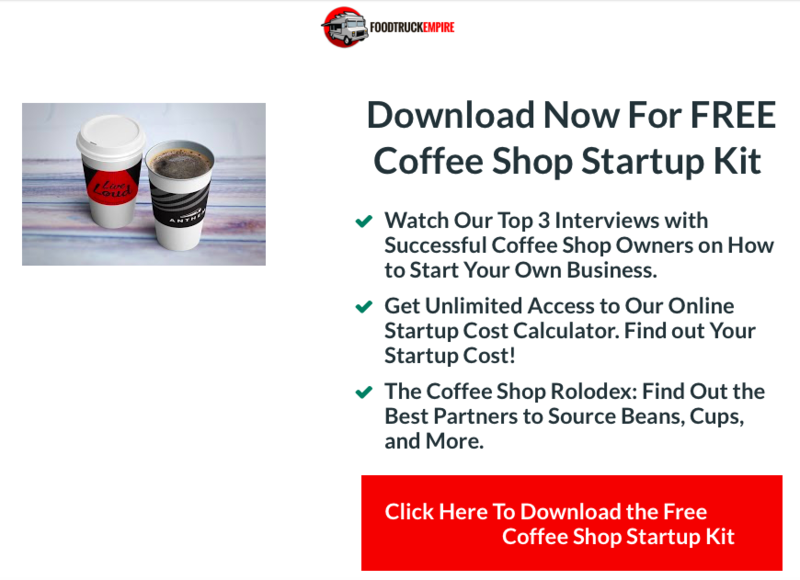 Sign up for our Free Coffee Shop Startup Kit Here for More In-depth Training with Bryan Reynolds and Unlimited Access to Our Coffee Shop Startup Cost Calculator. The topics discussed in this exclusive interview is wide ranging: business plan development, how to deal with competition, how to market a local coffee shop, menu development, what it’s like competing with Starbucks and more. This is an in-depth interview so get a cup of coffee brewing to ensure you are fully caffeinated and click play on the video to get started. What Type of Person Should Start a Coffee Shop? Should You Buy an Existing Coffee Shop? How to Pick a Name For Your Coffee Shop. What’s an Average Day Look Like? How to Source Coffee Beans. It’s been seven years since Bryan Reynolds, Co-Founder, and his family opened the doors to the first Anthem Coffee location. At the time of the interview, the Reynolds family operates six stores under the Anthem Coffee & Tea brand. Four of these locations are in the greater Tacoma area with all of them in Washington state. Five years before unveiling the Anthem Coffee & Tea brand, the family owned and operated a franchise coffee business where they learned the day-to-day operations and how to to run a successful coffee shop. But prior to the opening the coffee franchise, the family had no business ownership experience. Like all first-time entrepreneurs, the family had plenty of energy and passion to pour into the project, but lacked in areas of business experience or money to get started. To fund the business, Bryan’s parents took a loan against their house to cover the costs. Starting a coffee business is not cheap and required about $360,000 in investment before the doors could be opened. As Bryan half-jokingly shares in the video interview, the family might be figuring out life in a tent somewhere had the business had not worked out. While Reynold’s doesn’t recommend taking out a mortgage against your personal residence to start a business, he acknowledges this was a unifying moment for the family. Everyone’s back was against the wall and failure was not an option. Coffee is just the tool that we use to grow the people business. – Bryan Reynolds CEO / Co-Founder of Anthem Coffee & Tea on running a successful coffee shop. Learn How to Start a Coffee Shop. Bryan recommends coming up with a game plan instead of a traditional business plan for a coffee shop. But no matter the exact format you select, you need to take the time to get clarity on a plan and goals for the business. If you don’t take the time to do this now, you could end up owning a business you either hate or doesn’t fulfill you. Once you have these critical pieces figured out, they’ll guide every thing else in your business. Don’t select the name of your coffee brand or look for a location to lease until you’ve figured out your why and guiding principles. If you’re not sure about how to approach finding your why and establishing your guiding principles (or why this is even important), not to worry. The next sections will help you figure this piece out. How To Find Your Why… If You Don’t Know Already. First off we should address, why you need to start with “why” in mind. We humans are complicated creatures. Believe it or not, simply making money isn’t a good longterm motivator for most business owners. Sooner or later you’ll run out of energy without a stronger purpose. Understanding the reason behind why you’re doing something can help you push forward despite the inevitable difficulties ahead. Most of us need to know the work we’re doing it important than simply making coffee. We need a sense of purpose and mission behind what it is we do. An Event at Anthem Coffee & Tea. All that being said not everyone enters the world knowing exactly what they want in life. In fact, most people never take the time to figure out their purpose, which is really too bad. If you haven’t thought much about the reasons why you’re starting a business yet don’t feel bad. Take advantage of this opportunity to reflect on yourself and figure out what the why behind your business motivation. You’ll learn a lot more about yourself and future business in the process. Where your passions and skills align is usually a great place to begin identifying your true purpose. Another self-discovery tool recommended by Reynolds is a website called 16Personalities.com. This is a free online personality test that can be used to attain more self-awareness. “Guiding Principles” are a broad philosophy that encompass your personal beliefs and values and guide an organization throughout its life in all circumstances, irrespective of changes in its goals, strategies or type of work. – Guiding Principles and Why Your Business Should Have Them. When used correctly, guiding principles direct the future of your business. To make these valuable, they need to be reviewed regularly and considered before making major business decisions. You should regularly ask yourself if the decisions you make in the business align with your principles and goals. If they are used in this way they can act as a North Star for business decisions big and small. Like discovering your why, establishing guiding principles requires self reflection. Deciding on core principles doesn’t need to fall solely on your shoulders, however. In fact, it’s better if you welcome key players in your business into the process. If you have a business partner, manager, or family member that will help operate the cafe then get their input too. By involving others in this process it will help everyone buy into the guiding principles and make them better. If you’re looking for a fantastic example of guiding principles check out the Our Values section published on the Our Story page of the Anthem Coffee & Tea website. List ten words that come to mind when you think about your business or organization. What are five nice things that people have said about you or your organization? What does winning look like to you at a day to day basis? What’s your unique value proposition do you have to offer to the people you will employ? What are the values that will guide you? What’s your preferred future look like? What does it look like 3 years, 5 years, 10 years from now? What are the behaviors and mindsets that have led to your success so far? What’s the one thing that if you do this everyday, it would really represent what you want to do? What are the ten biggest pain points you’re facing right now? How much income do you want to make? As you continue this discovery process, be honest about your desired goals and income. After determining this criteria, figure out what winning looks like and you can begin to work backwards on how to build a plan to make it happen. Success for you might be running a specialty coffee trailer side-by-side with your spouse. If this is the goal then the plan you put in place is going to look a lot different than someone who wants to own a 25 chain location in 5 – 10 years. You must take the time to know thyself and build a plan around your desired end goal! Finally, it’s time to get pen to paper or text entered into an empty word document on your computer to start documenting the business plan. In addition to your own preparation for the business a formal business plan will be a requirement if you plan to get a bank loan or angel investment. Fortunately, there’s plenty of free resources available to help you draft a professional business plan on your own. SBA.gov has an online program that will take you through all the steps. You can view an example of a drive-thru coffee shop business plan right here. Be aware of your weaknesses, but go all in on your strengths. – Bryan Reynolds, CEO / Co-Founder of Anthem Coffee & Tea. Is starting a coffee shop right for you? According to Reynolds, anyone with a sincere passion for hospitality is perfect for starting and operating a coffee shop. If you enjoy serving others this is the good business for your personality type. In addition to being hospitable, you’ll need to be a people person. Whether communicating with employees, customers in your store or planning for a special off-site event, expect to interact with people all day, every day. If this isn’t something you enjoy this might not be the right business opportunity. Finally, no matter where you look there’s a spot to get coffee these days. Creating an environment that stands out and keeps customers coming back is part science and part art. The only way to fight back is to lock in on your brand and what the vision is for your coffee shop during the planning process. This is the way to ensure you have a clear vision for the business. If you don’t have a clear vision on what your coffee brand will be right now, don’t worry. This is a process that may take weeks or months to figure out. Just make sure you put in the time to complete this planning. Many failed independent coffee shops, unfortunately never took the time to figure this stuff out and failed as a result. Don’t let that happen to you! You deserve better! One way to get into the coffee shop game is to buy into an existing business. This could be a franchise or independent coffee shop that’s for sale in your area. The benefit to going this route is that you can get into a location that’s already successful and has an established customer base. You might be surprised to learn how frequently small businesses like this go up for sale in your areas. The owners may be retiring or tired of the running the business. Sometimes personal reasons like illness or a cross country move is the catalyst for a sale. Other times, the coffee business is failing and the owner wants out. But if your plan is to buy shop as a passive investment, hire a manager, and take the monthly cash flow Reynolds says he hasn’t seen that work often. In the early days, you’ll need to be there to set forth the vision of the business, establish processes, and improve the operations. If the coffee shop was hugely profitable and didn’t require any work, it’s unlikely the current owners would want to part ways. Absentee ownership rarely works in any type of business. If you’re considering the purchase of a coffee shop as a passive investment look elsewhere. Don’t take the name of coffee shop lightly. The name of the business directs the overall vibe for the shop you plan to own. Picking a name like Susan Johnson’s Coffee Shop could make the business more difficult to sell or expand in the future. Of course Tim Horton seems to have done pretty well using his name so there are always exceptions. If you pick something unclear, like the Liquid House, people might not know what you’re selling or specializing in. The Anthem Coffee & Tea Logo. What’s Your Anthem? So how did the Reynold’s family come up with the name Anthem Coffee and Tea for their business? First, they wanted to select a name that was both solid and stood out. Anthem Coffee satisfied that criteria. The tagline for Anthem Coffee is Live Loud. If you think about it, the name is a stark contrast to most coffee shops where the vibe is closer to that of library. Instead of being quiet, Anthem Coffee encourages you to get out there into the world, be loud, and find your own anthem… Whatever that might be. That’s not what most people expect from a coffee shop. The goal of a mission statement is to define the “why” of a business startup. A strong mission statement can guide the entire strategy and operations of a business. On the flip side, a generic mission statement is totally useless and forgotten. We get it. Drafting the mission statement of a coffee shop business plan can be tempting to push to the side when you’ve got a hundred other things to check off your to-do list. However, skipping this step is a missed opportunity to set the right direction of your organization from the beginning. The vision for your company can be so much more than pouring cups of coffee if you’re able to think bigger. 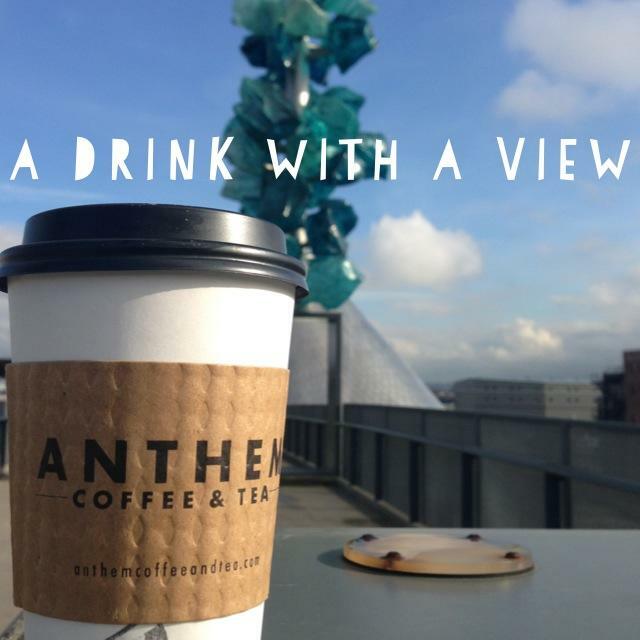 Learn the Story of Anthem Coffee & Tea. What’s the ultimate dream for the coffee shop? What does it look like when you’re imagining operating the operations of this business? Achieving your vision isn’t an event achieved day one of the business. It’s something earned over time. It’s a goal to set your sights on for the future. This statement is simple, but powerful. Being known and knowing your community means you must become an active participant in the city you serve. How you become active participant in the community is up to you and will look different to everyone. Can you imagine how your actions might be different as a business owner if one of your guiding principles is to be known in the community… not just be profitable? There are all sorts of ways a coffee shop can become a known and active member of a community. For you this could mean helping an area non-profit through participation in a food drive, getting involved in local small business association, providing a fundraising opportunity for the local high school. You could create a semi-private meeting space in your coffee shop to offer to meetup groups. Maybe you have a passion for helping independent musicians get their music into the world. Creating a dedicated space inside your establishment to play music could be an excellent way to accomplish this goal. No matter the brand vision that’s inside your head, you can see how approaching business with a clear mission statement and vision can direct the actions of a business for the better. The Reynold’s family started their first coffee shop by joining an existing franchise opportunity. There are some distinct advantages to buying into a franchise that can make opening a business easier. Ideally there’s some level awareness for the franchise brand locally. People can drive past your location and immediately know what you sell and the quality of products you serve. This element alone is a huge advantage over entrepreneurs starting at zero. Depending on the specific franchise, members of the community might even be excited to have your franchise restaurant or coffee bar opening in their town. You see this a lot when a Dunkin’ franchise opens in some parts of the country. The second distinct advantage to becoming a franchisee is that it’s easier to make the transition from employee to business owner. You can literally follow the operation instructions of the business and in theory the business should work. You don’t need to come up with a brand, figure out what equipment to buy, source coffee beans, or develop standard-operating procedures for how staff members work. All of planning is done. All you need to do is plug-in an owner / operator and managers with a passion for operating the business. In retrospect, Bryan Reynolds is glad his family operated as a franchise the first five years of business. The experience helped the family understand how the business really works and build experience running a coffee shop. While there are plenty of benefits to going the franchise route there are some distinct downsides too that you should be aware of. One prohibitive reason to start a franchise is the initial franchise fee and annual licensing fees. Initial franchise fee is a one-time payment to get started will require $15,000 – $50,000 to start out on average. Annual fees are paid to the franchise company in perpetuity in exchange for operating a proprietary business model. Franchisees should recieve on-going benefits from these fees as some of the annual dues typically go towards marketing expenses, research and development of new menu items, and ongoing training. Enjoy at Drink with a View. Finally, there’s another fee called a royalty based on the volume of sales a store produces. These are often the profit center a franchise company. These royalties (a fee by another name) can range from 4% – 10% of the revenue in the coffee industry so you need to understand all ongoing fees before enrolling in any franchise opportunity. As an example, if you had a coffee shop that did $200,000 in sales, you would be obligated to pay $10,000 in royalties over the course of a year if the number was set at 5%. As you can see this particular expense can add up quickly for a franchisee. When the Reynolds family was notified that their annual fees to operate a coffee shop was going to increase, they decided to transition to an independent coffee shop model. There’s no right or wrong choice on the path you choose to start a coffee business. Ultimately the decision to invest in a franchise or start an independent location should be based on your skills and goals. If you want to learn more about franchise fees and why you pay them, check out this article on SBA.gov. To browse opportunities for coffee franchise’s, including fees and revenue potential head to the coffee business section of FranchiseDirect.com. As mentioned earlier distinct advantage of going the franchise route is the training and support system that’s built into these programs. But even if an independent coffee shop is the goal, you should still seek mentorship in the beginning stages of the business. There’s a laundry list of things you won’t be prepared for when starting out in a new business. Reynolds advise is to get help. One way to get a better understanding of the coffee industry is to actually get a job working at a coffee shop for 6 – 12 months minimum. While you might not get the business side experience as a barista, you will learn how to make coffee, provide top-notch customer service, and most importantly figure out if you even like doing this. This is one of the easiest and cheapest ways to begin preparing yourself for coffee shop ownership. Second, there are some high-quality coffee business schools that offering a faster path to operating a cafe or coffee house. Often, you can go through complete these programs in 1 – 2 week sessions of intense learning. This is a great way to develop business fundamentals, like developing a brand and managing people that you probably won’t acquire while as an entry level employ inside a coffee shop. One tip when selecting a school is to find a teacher or training program from someone that actually has experience running and growing successful coffee shops. Finding a teacher or school that offers real-life experience will make a big difference in preparing you. You can learn more about the next Anthem Coffee School. This is a training program facilitated by Bryan Reynolds and is a terrific option that covers different important aspects of owning a coffee business, including developing a business plan, barista training, menu development, and nurturing a strong brand / culture. Check out the website to learn more about the school and dates for the next live intensive. What’s an Average Day Look Like Operating a Coffee Shop? As your coffee brand grows the daily activities will and should evolve with it. This change in work focus is essential if the goal is to expand into multiple locations. As you expand to more locations your time will be spent working on the business instead of in it as an operator. In the early days, Bryan worked brutal hours to get the business off the ground. Bryan would frequently open the doors at 5:30 a.m. and closed down the coffee shop at 9:30 p.m. During the day Bryan was involved in all the aspects of running a coffee shop from scheduling, making coffees, sweeping the floors, greeting customers, distributing free samples and running the cash register. This is what running the business was like for 7 – 8 months after opening. A frantic pace that has you working 80+ hours a week is not sustainable forever. The thing that drove Bryan forward during the early days was the feeling that he had to make the business a success. Eventually, Bryan was transitioned into the more manageable work day you see below. Keep in mind that in the early days you’ll be putting in long days to get the small business off the ground. Keep in mind that Reynolds has been working to grow Anthem Coffee business for over 10 years. Today, his role resembles that of the CEO of a brand than solo operator. It will take most entrepreneurs a few years to get this level, but it’s important to be aware of the natural progression in the beginning of the business. Protect culture: Anthem Coffee and Tea spent years developing, evolving and figuring out their culture. Belief guides culture so employees must memorize the company mission statement as a first step so they can ultimately live it out. A lot of companies post their mission statement on a wall and forget about it. You need to lead from these guiding principles and refer to them regularly to guide your business if you want them to be valuable. Cultivate leaders: As the business grows, focusing on the development of your leadership is critical. After all, as the owner you can only be at one location at a time. You’ll need to have high-caliber, trustworthy performers in place to manage and grow locations. Cast vision: People need and want clear direction. It’s unkind to be unclear. You must have the ability to set forth this clear direction for a coffee shop business and let employees know how they impact the mission as individuals. Let employees know what’s on the horizon and how the future could look with them in a different role. On average, Reynolds spends 30 – 35 hours on the above listed aspects of the business. This activity represents the majority of his work day at this time. As you can see from Bryan’s experience things are different after more a decade plus running a business. But this progression won’t happen without being deliberate. There are plenty of small businesses owners that continue doing everything themselves and end up stuck for years or even decades. Change doesn’t happen by accident. The reality is that in the early days of starting a business you’ll be wearing a dozen different hats and putting in a ton of hours. Work life balance isn’t a reality in early stage small business. While putting in a lot of hours at the start is a reality, you should be working toward assigning tasks to managers and employees by building out and refining a set standard operating procedures. While time consuming, establishing written processes and guidelines on how to operate a coffee business is the only way to ever step away without everything collapsing. The other realization Bryan had was that he had to set boundaries for himself with the business. He couldn’t be opening and closing down the coffee shop forever. It can be hard to leave the coffee shop during a rush so you can make it home in time for dinner with the family. But if you want to maintain a strong relationships with your family and friends, you absolutely need to be able to leave your place of work. Establishing boundaries and scheduling times when Bryan wouldn’t be working, meant hiring additional staff to be able to run the shop while he wasn’t available. This also meant empowering co-leaders within the coffee shop to be able to make decisions while away. Making it a priority to only work a set number of hours was one of the big things that Bryan wishes he took more control over during the early days. As you may have noticed, leveling up your people skills is critical to growing a coffee shop empire of your own. Here are some practical nuts and bolts questions you can use to start having productive on-going with your managers. By listening and taking action on these conversations, you can help continually drive your people and business forward. What’s something you wish you could spend more time working on? What are your pain points this week? What’s something that you’ve seen that’s a need in your community? How can we add value to local area? Another point about the organization of a coffee shop is that Anthem Coffee and Tea does not have one store manager per location. Instead they have co-leaders for each location that manage the store together. This means that the highest ranking individual in a coffee shop still needs to work as a team. As a benefit to the manager, they don’t need to feel the pressure that everything falls on their shoulders. This structure has helped to foster an organization that focuses on team work and ongoing improvement. One other important concept covered in the video is that you can’t lead people like a slave driver. Telling people to do this or take care of that because you give them a paycheck every two weeks is no way to create a happy work environment nor retain top talent. You must get into the habit of sharing the reason behind instruction to staff. The why always drives the what… Meaning that people follow direction better when they understand the reasoning behind your instructions. Take the time to explain the reason behind why you’re doing something and you’ll get better results from employees. As Bryan shares in the interview, during the early days of being a manager he’d get frustrated that employees wouldn’t greet customers quickly. But after Bryan started sharing the reason why it really made a different in how people perceived his instructions. For example, Bryan wasn’t asking people to greet customers because of a desire to keep employees busy. The motivation was to make customers feel welcome when they entered the building. This small communication tweak changed everything. How do we best love and serve this community that we want to open this coffee shop in? – Bryan Reynolds, Co-Founder of Anthem Coffee, on the key questions you should be asking when getting started. After you open a coffee shop one of the biggest challenges you’ll face is getting people to know you exist. When you begin to consider marketing a business, you probably start by thinking about different tactics like buying radio advertisements, creating an attractive sign outside the shop, mailing coupons, handing out free samples or posting regularly on Instagram. While each of these approaches can work this isn’t where Bryan reccomends starting out when building a marketing plan. While all of the tactics above can help increase awareness for your business, one specific recommendation that Bryan has is to focus on doing joint ventures with other local businesses or other organizations. 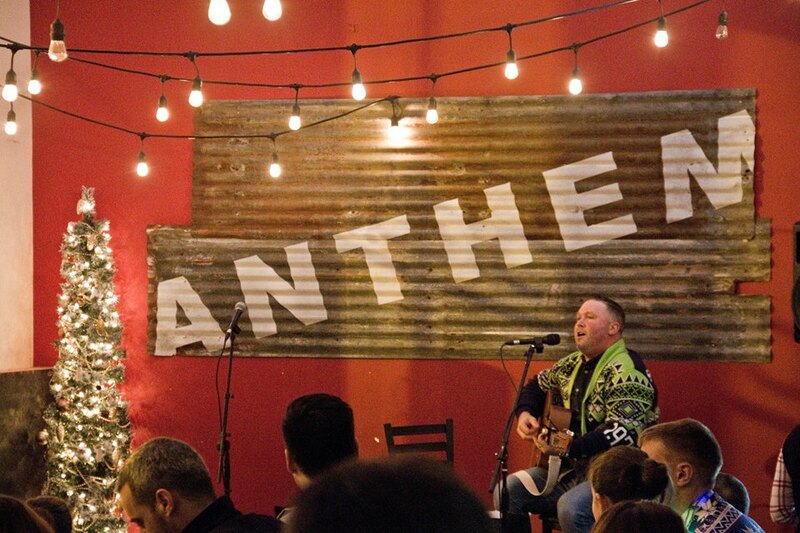 Concerts and Fundraisers are regularly held at Anthem Coffee & Tea locations. A joint venture (also called a collaboration) happens all the time in the craft brewing industry. Two different breweries will come together to produce a limited edition beer. This beer will might introduce the specific type of beer and brewery to a new audience of beer lovers. Assuming both breweries have a following already, it’s a win-win scenario for both businesses. This approach can simple, low-cost, and extremely effective. Fundraising: Churches, sports teams, and non-profit organizations are always looking for ways to raise money. You could run some special events in partnership with an organization that you support and donate a portion of the sales. Meetup Groups: There are groups of people in your community that are looking for places to come together regularly to discuss different topics ranging from cycling to knitting. These groups are kind of like book clubs, but on a wide range of interests. If you’re able to offer a semi-private meeting place inside your coffee house this can be an excellent group of people to reach. You can find local groups in your area by visiting Meetup.com. Collaborate: As a coffee shop there are all sorts of businesses you could test joint ventures. One idea would be to join forces with an independent bakery. You could sell their cupcakes at your shop one week, you sell your coffee at their location another week. These kinds of simple strategies not only get your name out, but keep things fresh and exciting at your location. Ask How You Can Best Serve Others: As a general guideline, you want to get good at identifying as many ways a possible to help as many people as possible with your coffee shop. Does a struggling artist need help getting their painting out into the world? Offer to put up a piece in your store on the artists behalf. Does a local business need help promoting an event? Share information about their event on social media and let them hang a poster about it in your store. Some of these collaborations take time and careful planning to execute. Others are super simple and don’t take much time at all. Best of all, the cost of this form of marketing is mostly sweat equity (meaning there’s no cost) and you’ll get back what you put into the efforts. These are the things that have made a difference in our business. You have a chance to make a difference more than you have the chance to make money. But if you make a difference, you will make money. – Bryan Reynolds, Co-Founder of Anthem Coffee, on the importance of business collaborations for a coffee shop. Most of Anthem Coffee’s locations are in the greater Tacoma area. This is less than 40 miles south of Seattle where Starbucks was founded in 1971. Needless to say, the mega coffee chain has a strong presence in Anthem Coffee’s market. Not surprisingly, four of the Anthem Coffee stores are located within blocks of a Starbucks. But Reynolds doesn’t consider Starbucks to be a direct competitor. I’m thankful that Starbucks paved the way for us. Starbucks has created an opportunity for independent coffee shops to come in and innovate. They made it (the American coffee shop) massively popular. – Bryan Reynolds, Co-Founder of Anthem Coffee, how how he views competition. So how do you handle coffee shop competition? According to Reynolds, it always comes back to having a differentiated brand, delivering a unique customer experience, and having an identifiable mission. Well known establishments like Starbucks, McDonald’s, and Tim Horton’s have their own loyal audience. These stores all provide a consistent product that select demographic of people enjoy. That’s why customers return again and again to these establishments. The goal for you as the business owner is to create a desirable and consistent experience for customers that relate to your style and environment. You can’t be everything to everyone so don’t try to be. I’m not in competition with Starbucks. I’m in competition with myself and our organization every day. Always asking ourselves, how can we get better? – Bryan Reynold, Co-Founder of Anthem Coffee. We are paying for our space all day long, we might as well use it. – Bryan Reynolds, Co-Founder of Anthem Coffee on adding beer, wine, and food offerings to the menu. Another one of Anthem Coffee’s core values is minimizing waste and maximizing profit. With this core value in mind, they noticed what many other coffee shops observe: Sales drop in the evening when most people don’t drink coffee. So staying true to these guiding principles, they looked for ways to enhance their menu to increase their profitability at night. 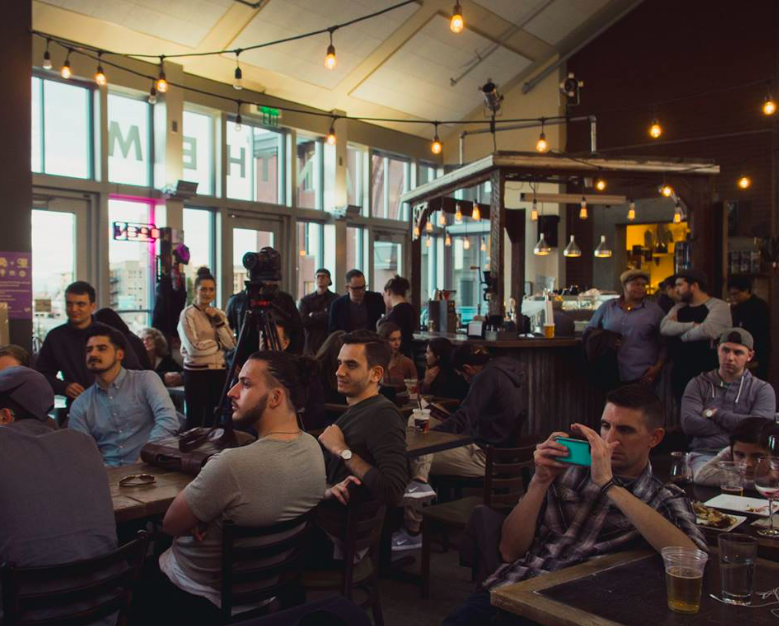 This led them to explore offering craft beers and wine so that people would be more likely to visit and compliment their lineup of speciality coffees. After they introducing beer and wine, they realized an updated food menu was needed to pair with these new beverages. This approach won’t work for every shop, but it can work well for some. Americano: Espresso with hot water. Black and White Mocha: Dark and white chocolate, espresso, and steamed milk. Caramel Macchiato: Steamed milk, vanilla marked by espresso and caramel. Dirty Chai: Vanilla or spicy chai, espresso and steamed milk. Latte: Espresso and steamed milk. Turkey Bacon Cheddar Sandwich: Roasted turkey, bacon, sharp cheddar cheese on multi-grain bread. Anthem Fries: Shoestring fries with rosemary olive oil and shaved parmesean. Sweet Potato Fries: Oven baked fries with salt and chipotle dip. Black Bean Hash: Red potatoes, black beans, red pepper, jalapeño, and lime zest. Pizzoni: Cheese bread stick with pepperoni and mozzarella. One of the easiest way to start creating your own menu is to look around at what other people are doing. See what chain coffee shops are serving, see what independents are doing, and take notes on what you like. Get in a car travel to some of the interesting coffee shops within a 100 mile radius to sample coffee and learn. Starting the menu development for food service really can be this simple. Think of it as a fun creative process. While you provide yourself freedom to be creative during the menu development process keep in mind people’s expectations when entering a coffee shop. Plenty of people still like a plain-old medium roast drip coffee with cream and sugar. Make sure you maintain traditional menu items when starting out along with more creative options. If you want to learn more about the menu development process and pricing, there’s a really good piece on the topic of menu pricing that was written at DreamaLatte.com. On average you can expect to invest $100,000 – $400,000 on average to start a coffee shop business. Depending on the equipment you decide to buy, the build out of the location you could end up spend upwards of $1 million dollars if you want a high-end shop with artisanal chairs and tables. In fact, the first Anthem Coffee & Tea location required roughly $360,000 in capital just to open due to all the equipment, furniture, and permits required. You can estimate the total cost of your future coffee shop using our coffee shop startup calculator. You can find a full list of cost considerations here as well. As Bryan Reynolds points out in the interview, discovering the specialty coffee beans and roasts that will be served at your shop can be an enjoyable and creative experience. Bryan suggests getting out into the world and actually trying a whole bunch of unique roasts before determining what you want to serve. Depending on the mission of your coffee shop, you can locate beans that are sustainably sourced or grown in different areas of the world to align with your vision. Sourcing product from specialty coffee roasters ensures you have a unique and quality cup of coffee customers can’t get elsewhere in your market. You’ll also need to decide whether to invest in a commercial coffee roaster to roast coffee in-house or have another reputable roaster complete the process for you. It may be tempting to roast the coffee beans yourself, but keep in mind that this process of roasting is both art and science so it’s something you may want to consider outsourcing to simplify operations. We should also point out that most coffee shops outsource their roasting to experts. You can learn more about the art and science of roasting here. If you do decide to purchase a commercial coffee roaster, one can be acquired for between $7000 – $25,000. The cost of this equipment depends largely on the capacity or batch size of the equipment. Mill City Roasters is a great resource to learn more about this specific piece of equipment and the options. Oak Cliff Coffee Roasters – Based in Dallas, Texas. We hope this piece gives you a foundational understanding of what you should be focused first before starting a coffee shop. As a quick review, you need to get clarity and your why and mission statement so that you can create a unique brand that stands out in the local market first. If you get this piece wrong, you could spend years spinning your wheels without understanding the real problem. Don’t let this happen to you! Creating a layout for your coffee shop. Raising capital for the initial investment. Startup cost calculator to get started. Join our Private Coffee Startup Group for Free. We hope you get value out of this series and encourage you to share and discuss this series with the team members involved in your coffee shop startup.